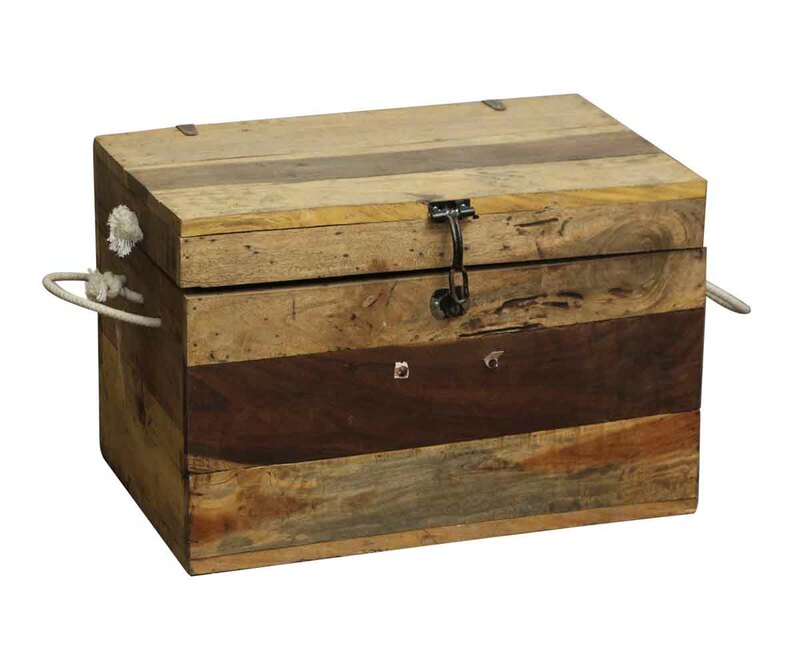 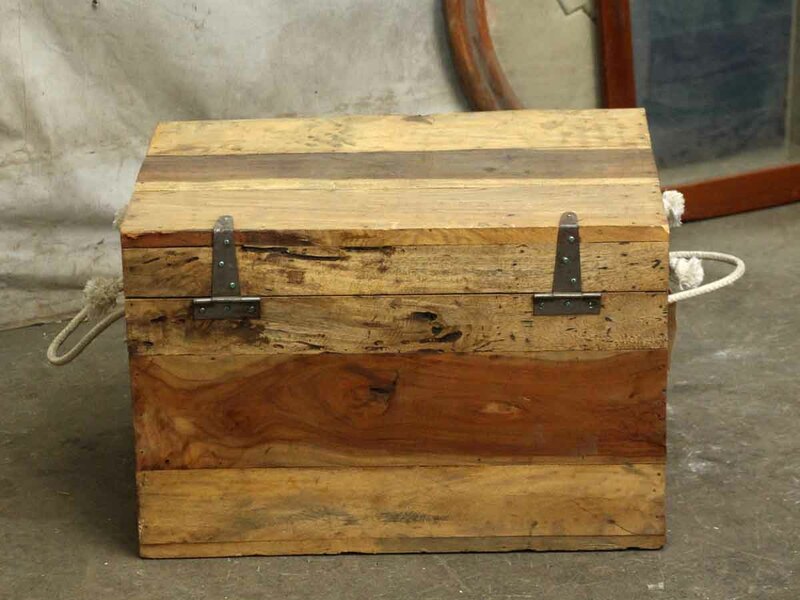 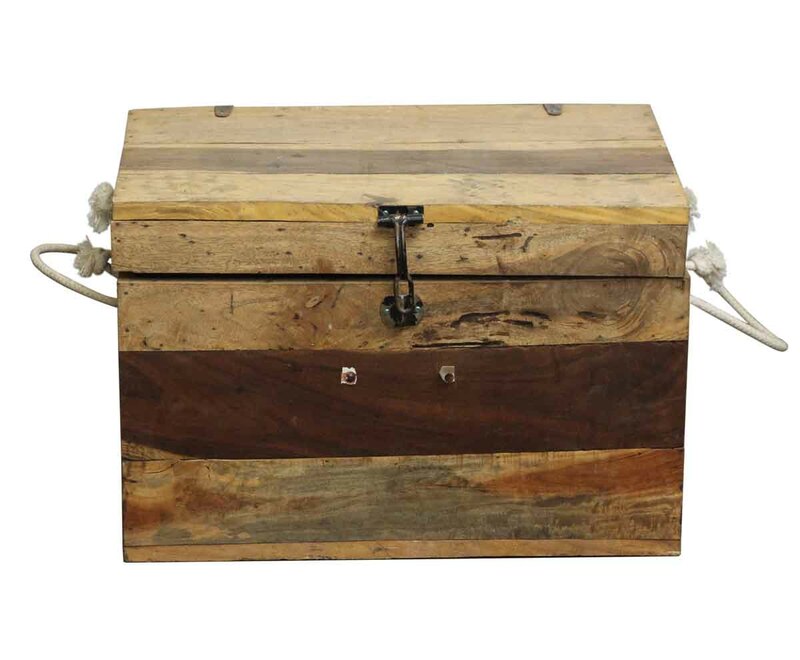 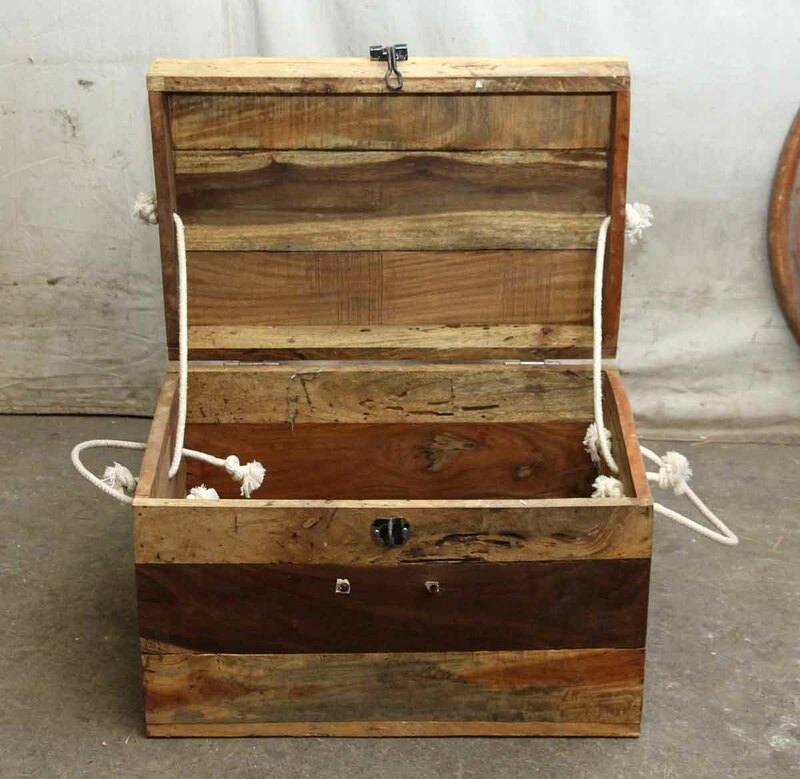 Wooden trunk made of exotic wood pieces to withstand the elements. It’s equipped with a latch for locking and rope handles. 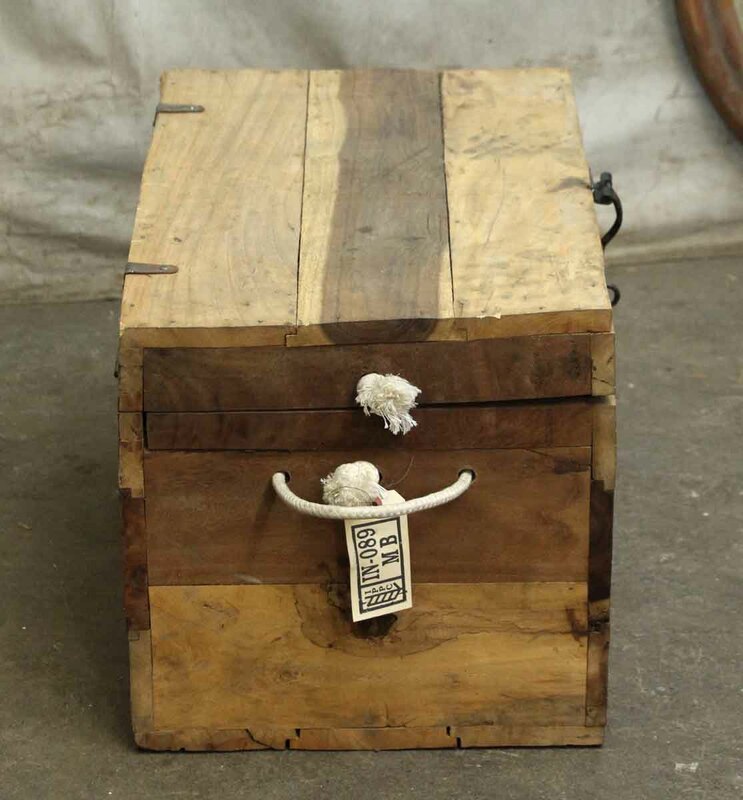 There is some wear from age and use.